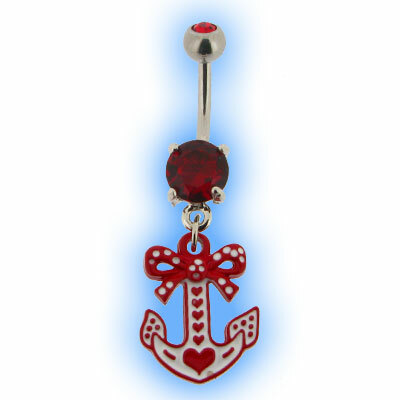 We have some fantastic new Body Jewellery designs that are very current, including Cameo, Skulls, Bows, Anchors. Make a statement with your Body Jewellery this Spring, we have some great new styles that are bound to get you and your piercings noticed. 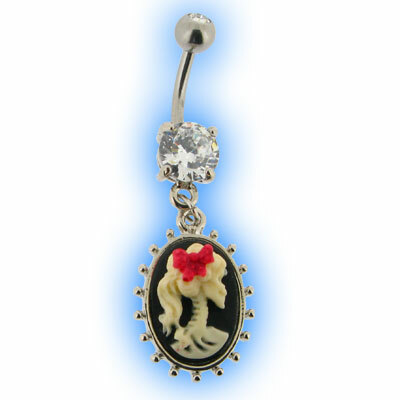 We love this Cameo Belly Bar featuring a Skull with a Red Bow, or the Red Polka Dot Bow with a dangling Anchor, very Kitsch and right on trend. Both look fabulous in pierced belly buttons and will accessorise any outfit, they are 316L Surgical Steel and have matching Jewelled 5mm Top Balls. Following on from the Polka Dot and Bow theme we also have this gorgeous ear piercing bar with a red gem set bow, it is 1.2mm x 6mm so can be worn in most ear piercings, it looks stunning in an upper ear piercing, or tragus or helix piercing as well as a standard ear lobe piercing. Or we have this pretty in pink Circular Barbell in Pink with Bow ends, this is so cute and very Rockabilly style. 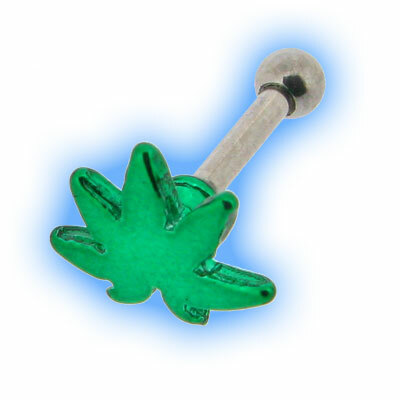 Hemp leaf designs are always popular and we think these ear studs look amazing in their vibrant green, again these bars look great in most ear piercings. 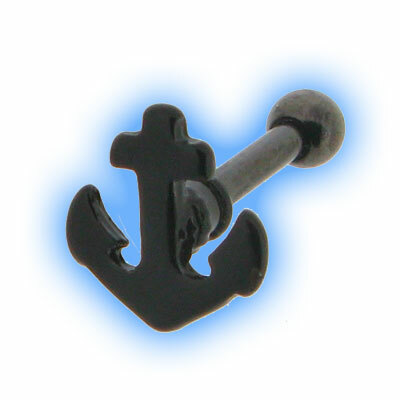 Or how about a nautical Black Anchor design? Great for people in the navy, sailors, boat lovers, or if you just love the look. We have lots and lots more Body Jewellery designs being added all of the time, so don't forget to checkout our New Arrival section regularly to see what we have. As always we love hearing from our customers, so if you have and suggestions please do let us know.